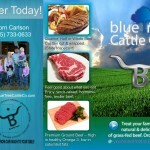 Do you want the exceptional taste of grass-fed beef while enjoying a healthy advantage? Then treat your family to naturally delicious, hormone-free beef. 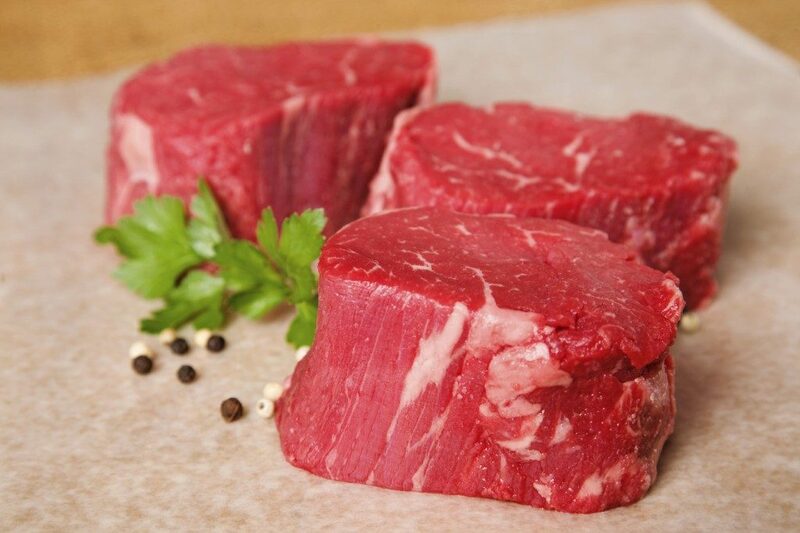 Our grass-fed beef is higher in omega 3’s and lower in saturated fats. Flavor- Rich, full-beef flavor representative of the Cub River area due to our unique climate, soils, and plants. Finish- Cattle are allowed to grow and mature naturally, allowing for full marbling and excellent taste. 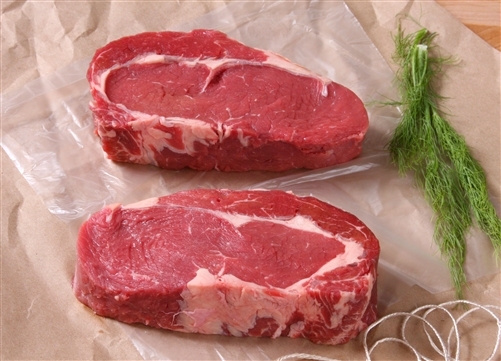 Health Benefits- Higher in CLA content, high in Omega-3 and low in Omega-6 fatty acids make grass fed beef more “Heart Healthy” (Similar to the health benefits of fish). 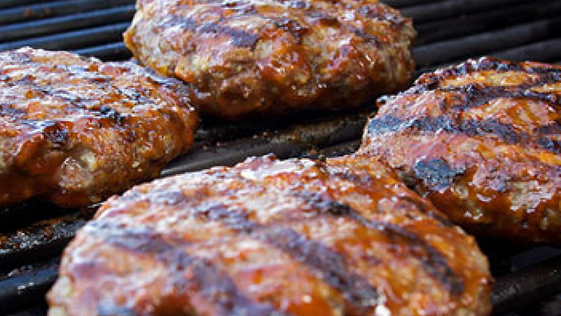 Cleanliness- Utah pasture raised beef has a far better record for No e-coli or salmonella bacteria contamination. Processing is done locally under inspection. Truly a local product- Our cattle are not hauled to the midwest to be fattened on government subsidized corn, butchered in a (Brazilian owned) factory, and then trucked back through the chain of brokers and giant supermarkets. Our Utah grass fed beef is natural and of the highest quality. 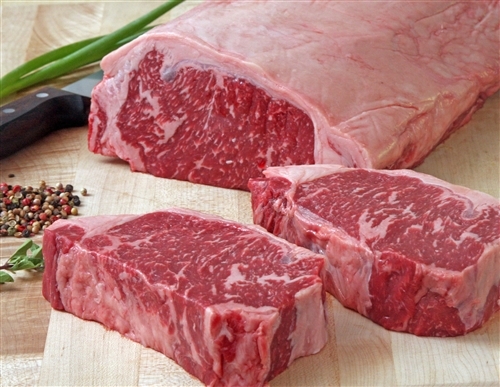 Start enjoying quality, hormone free, grass fed beef today. We strive to raise the highest quality beef. Our beef is 100% grass fed and grass finished. Cattle here graze on open pastures and drink out of crystal clear springs. It is the perfect environment to grow the healthiest beef possible the way nature intended it. 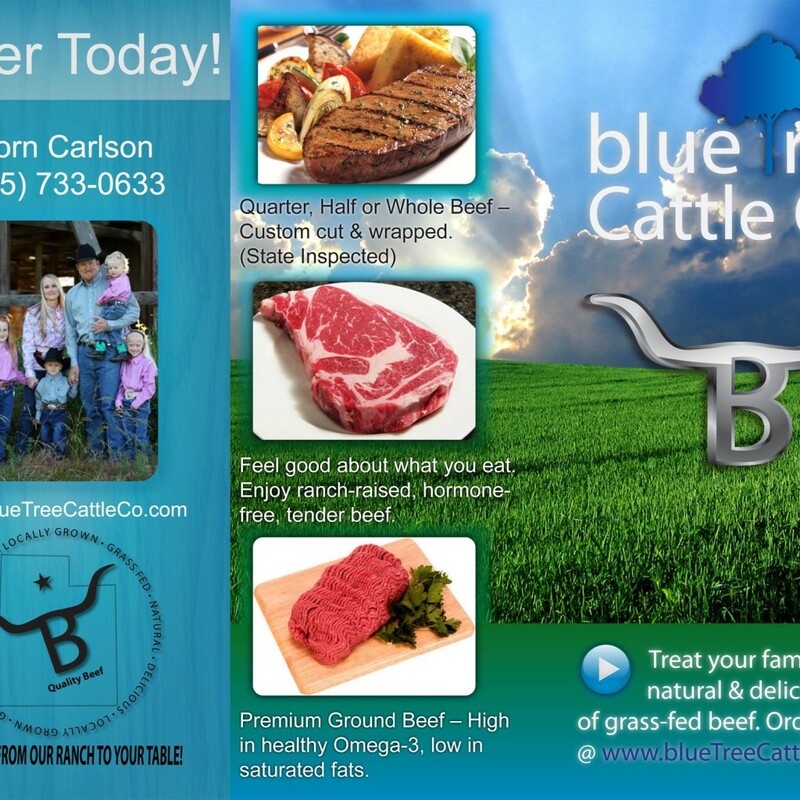 Blue Tree has the best beef I’ve ever tasted! Bjorn and his family are some of the nicest people I know. Their pride in their farm, their products and the American dream makes it easy to support this wonderful farm! We ordered 10lbs of ground longhorn, and it was amazing! I used to think buffalo was the ultimate meat, but now think this is. I just ordered 10 lb more, and talked my parents into doing the same. 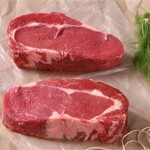 It is a great price for grass fed beef. I will be a life long customer if it is around! We ordered a half of a beef from these guys and it was the best meat I have had in a long time. Their service was great! Even above and beyond what was expected! I will order again and again from these folks. Wonderful people. Thanks for helping me eat better. We’ll be back! It was a cool spring morning when Bjorn and Shanna found themselves overlooking one of the most beautiful, pastoral landscapes in Northeastern Utah. The harmony of young, green grass intertwined with natural flowing springs caused Bjorn to envision his own cattle enjoying all the amenities this quiet pasture had to offer. Through hard work and dedication BlueTree Farms was officially born. Today, BlueTree Farms has become a local UTAH favorite for providing naturally-delicious, grass-fed beef, grass-fed lamb, and pasture raised Kurobuta-Berkshire Pork. 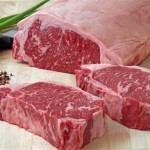 The national market has also spotlighted BlueTree Farms for raising quality, all natural meats. BlueTree Farm’s three-fold market emphasis has allowed them to excel without compromising quality. 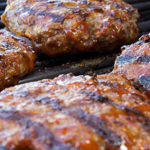 Whether you are looking for locally grown, grass-fed beef, grass-fed lamb, or pasture raised Kurobuta-Berkshire pork BlueTree Farms will provide! This entry was posted in Food and tagged Beef, Food on May 22, 2017 .